These are the words of a sampling of satisfied customers. A common thread from letter to letter is the satisfaction our advertisers feel with the targeted traffic we drive to their sites. Vermont.com continues to be a phenomenal partner to increase our visibility and exposure. This platform has proven to drive targeted traffic to our website, and has contributed to our success with direct bookings. Vermont.com expands their reach outside of a traditional destination site by engaging users with social media and blog content relevant to seasonality and defined segments. Vermont.com staff is extremely attentive to making sure your visuals and information is eye catching and up to date. In a recent two month period, we've had 5500 sessions on our website, averaging nearly 3 minutes and have had 20 vacation reservations ... great job Vermont.com! Lang McLaughry Real Estate's (now Four Seasons Sotheby's International Realty) partnership with Vermont.com has driven high-quality leads to our website; it is always in our top 5 referral sites and referrals stay on our site much longer than average. When you look at the quality and number of traffic we receive from Vermont.com, it's a no brainer! Sandra and her team have been incredibly responsive to our needs and take the time to find creative ways for us to advertise with them. It's a real pleasure and joy to work with them. The Stowe area has successfully partnered with Vermont.com for several years to attract more people to our website, gostowe.com and to the Stowe area in general. They are a pleasure to do business with and are highly recommended. The Lake Morey Resort has been with Vermont.com since 2001. In addition to consistently being our #1 referral site the customer service is above exceptional. We really feel like Sandra and Vermont.com are members of our marketing team always helping us promote a special event or package. Based on our reporting Vermont.com has a proven track record of offering a substantial ROI and has been and will continue to be included in our marketing plan every year. As small business owners, there are so many different places we could spend our marketing dollars that sometimes the choice is overwhelming. But from analysis of our website analytics, the decision to renew with Vermont.com is easy. Vermont.com is consistently in the top 5 referrals for our Vermont Bed and Breakfast. 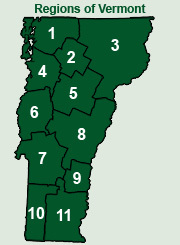 Basin Harbor has been listed with Vermont.com since 2006. With so many listing sites to chose from, Vermont.com has shown the best results for us with carefully chosen banner ads, placement and personalized service. Sandra and her team are always thinking about the individual properties and how best to position them within their site further enhancing the strength of the program. Vermont.com proves itself worthy of their name daily! The Northeast Kingdom Travel & Tourism Association has been partnering with Vermont.com since 2008 in an effort to connect their site visitors with all that our region has to offer. From the moment that we first started developing campaigns in partnership with Vermont.com we have enjoyed fantastic results. We measure every marketing effort and, we are careful where we invest our marketing dollars. We must always obtain a solid return on our investment. Vermont.com continually, and successfully, connects a substantial amount of traffic to [our website]. In a time when marketing budgets are under constant scrutiny, our investment in Vermont.com is one budget line that we are sure to maintain year-after-year. We have been advertising on vermont.com for years and have been very satisfied with the relationship. Sandra is a pleasure to work with, vermont.com is a high quality web site and we feel we get good value for our advertising dollars. Looking forward to another great year with Vermont.com! Our relationship with Vermont.com has been extremely valuable in driving traffic to Stratton's website, especially with the coveted group that does not yet have definite travel plans. Vermont.com ranks highly with general Vermont-focused searches (terms like "Vermont Resorts" & "Vermont Vacations"), and this has proved to drive a high proportion of users to Stratton.com for their first time, especially in the summertime. I'm excited to see what's in store for this year, especially from the social media front! Would it be possible to sink a little more into your website? We are seeing quite a bit of traffic coming through lately, and I'd love to get bumped up.